In 1980 when my parents were married, choosing a wedding photographer meant picking the poses/photos you wanted before the day of, and you received only those pre-arranged images. There was no candid, photojournalistic approach, that was just how things were done. One photo, however, was taken by a family friend as their wedding day wound down to a close. My dad was sitting on the stage of the church basement, and my mom collapsed back into his arms in a moment of blissful exhaustion from it all. And my great aunt Anne pressed the shutter. Over the past 35 years of their marriage, there’ve been ups and downs (as with any marriage), but I would argue that there’s likely been more strife and struggle in their particular marriage than your average nuptial union. All of that to say, I grew up watching two people fighting over and over to save their marriage. I remember, during one particularly hard time in their marriage, looking at my dad’s iPhone lock screen, and on it was that photo from their wedding. It didn't make sense to me at the time; they didn't even like each other at the moment. ​That blissful photo, the one taken by a family friend in the basement reception hall of the church where they were wed,​ it reminded him how he FELT on the most important day that they exchanged their vows. Not just that the day happened, but how he, Tim Field, felt in that very moment on the afternoon of August 9th, 1980 at Grace Church in Roanoke, Virginia. I want your photographs to hold that kind of significance. Your wedding day is just the first of the next 20,000+ days together- let’s make it count for more than just pretty pictures. wedding. It didn't make sense to me at the time; they didn't even like each other at the moment. That blissful photo, the one taken by a family friend in the basement reception hall of the church where they were wed,​ it reminded him how he FELT on the most important day that they exchanged their vows. Not just that the day happened, but how he, Tim Field, felt in that very moment on the afternoon of August 9th, 1980 at Grace Church in Roanoke, Virginia. they need to be reminded. through the use of photography, and to capture snippets in time that will one day serve as of how very much my couples love one another in a moment when they desperately need to be reminded. Loves tradition and isn’t afraid to create their own. couch with wine and Netflix. Appreciates a good glass of bubbly, but sometimes pairs it with pizza or takeout. Places a higher value on their marriage over their wedding. Because the wedding is just one day, and marriage is meant to last a lifetime. Knows every word to Don’t Stop Believin, sings it at every wedding they attend together. Plans for the future, but embraces the unexpected. Like adopting a puppy on a whim. Has tons of picture frames, but takes forever to actually put them on the walls. "I will never forget how beautiful she made me feel, and how comfortable both David and I were! It never felt overly posed or awkward, because Abby let us naturally hold one another, kiss, hold hands, and just enjoy our newlywed bliss." "I felt like I was the most important bride that you had ever photographed. 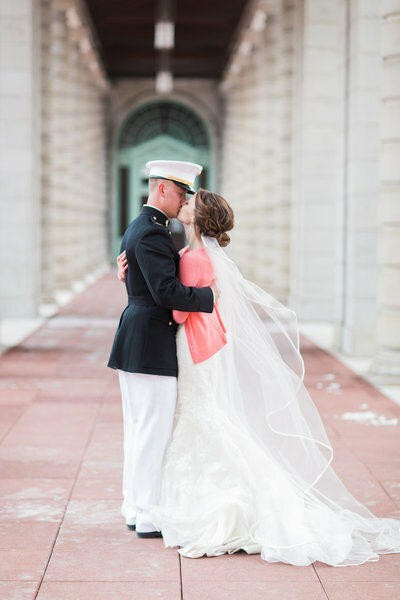 Just like on every Abby Grace bride's wedding day, you make that bride feel special. We're not cogs in a machine for you -- each of us matters hugely, and on our special day, we have 100% of your focus, 100% of your energy, 100% of your talent. 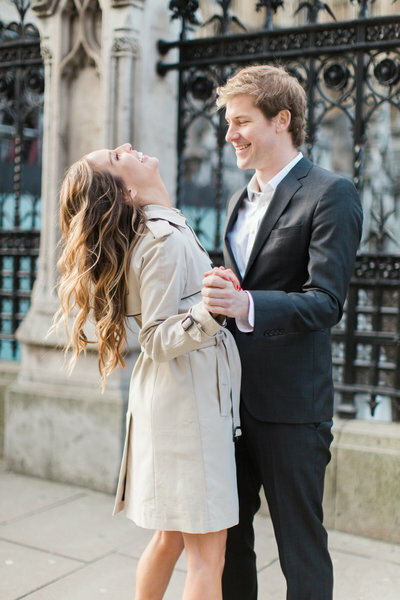 We're very lucky gals :)"
"I think if I had to pick three words to describe how we felt in front of the camera on engagement and wedding day they would be - comfortable, genuine, and polished. Abby has a way of making you feel at ease during all photo sessions, being raw and in the moment, and she makes sure that her couples look their best without "forcing" anything." "We are both such busy people who often don't take enough time to stop and just enjoy, however, through these sessions we were so focused on one another and our own happiness that it felt as if our worries were lifted with each shot of the camera. It was the most relaxed we had both been in a very, very long time, and it completely showed in the pictures - we were ourselves, we were genuinely happy and filled with laughter, and we fell in love with each other all over again." 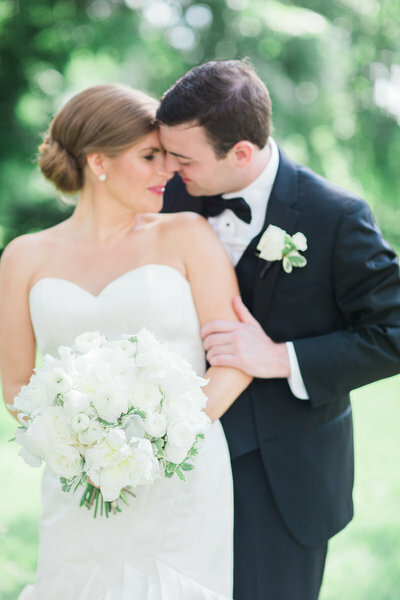 "Abby helped us remember this was about us and basically gave us permission to flirt and love on each other! Each time Abby said “okay kiss… and then smile” it became more fun, flirtier, and more natural. It’s still something we joke about today; I’ll remind him “kiss then smile at me” and suddenly we’re back in the early stage of our relationship just having fun. " Over the past nearly seven years of photographing weddings, I've learned that the best photography experiences happen when my couples and I really click. Having that foundation of a personal connection results in more organic, authentic photographs that make you remember how you felt in that particular moment in time in the arms of your better half. I want you to have that! I only accept 15-20 wedding couples per year, so I'd love to meet to see if we're a good fit for each other! Over the past nearly eight years of photographing weddings, I've learned that the best photography experiences happen when my couples and I really click. Having that foundation of a personal connection results in more organic, authentic photographs that make you remember how you felt in that particular moment in time in the arms of your better half. I want you to have that! 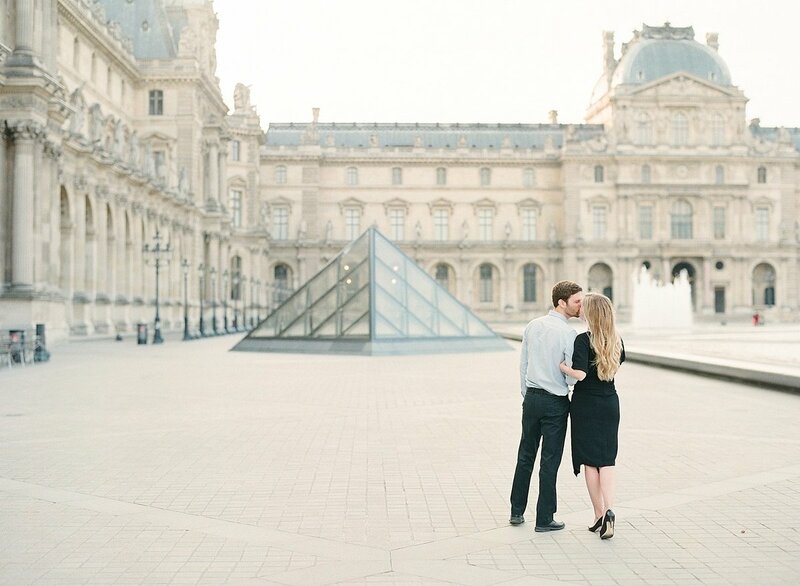 love to meet to hear more about your love story & wedding!